Where I purge my cluttered mind and hope my writing will encourage and inspire others. 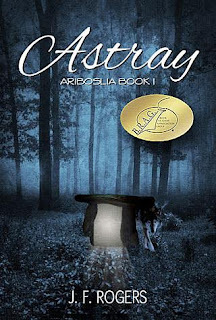 I’m so excited to share that Astray has received the B.R.A.G. Medallion! In case you aren’t familiar with this award, and you probably aren’t, B.R.A.G. stands for Book Readers Appreciation Group. IndieBRAG, LLC is an organization that seeks to find and support talented Indie (self-published) authors. You can find out more about who they are and what they do here. My heart is full of gratitude. I’m thankful to God, first and foremost because “Every good and perfect gift is from above, coming down from the Father of the heavenly lights, Who does not change like shifting shadows.” (James 1:17) But I am grateful to everyone He has put in my life. So many people helped me achieve this life goal of writing this book. My pastors gave me spiritual guidance and encouragement in this journey as did family and friends. Critique partners also encouraged me and offered a collective wealth of knowledge and advice. The glowing reviews I’ve received and now, this reward provides much needed affirmation that my work was not in vain. I can’t help but look back at the moment I submitted my life to God. Shortly thereafter the mess I’d made began to turn into something beautiful. I found my church home, the book I’d tried so hard to write over the years practically wrote itself, I married my wonderful husband and we were baptized together, my beautiful daughter was saved and baptized, I got involved in many ministries and eventually began working for my church, and my life’s work became published. I can’t help but look back and see God’s faithfulness to those who seek Him. With eager eyes and goofy grins kids present their parent with their heart-felt creation, crumbling macaroni and all. In this way, they show their love, hoping it will please. That is this blog - my macaroni craft to God. I hope it blesses others and pleases Him.